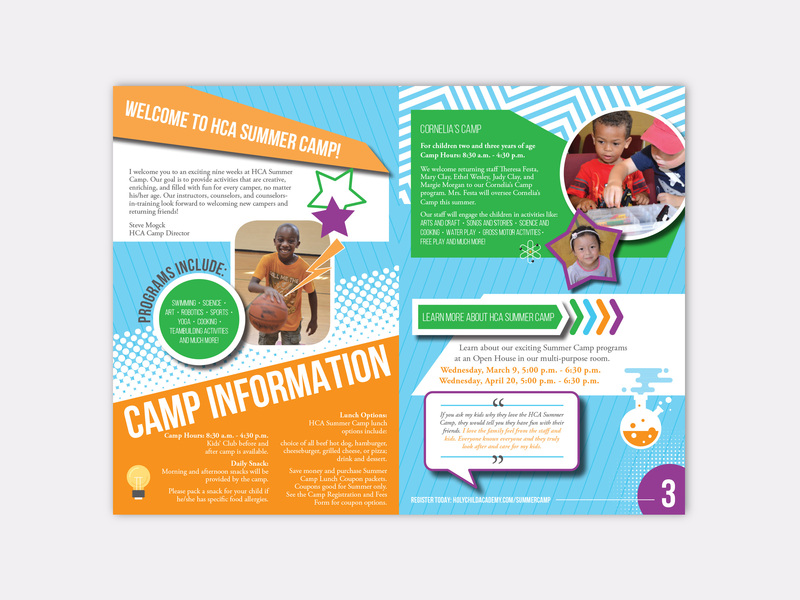 Holy Child Academy (HCA) is an independent school for Nursery-Grade 8 in Delaware County that believes in a holistic approach to student learning. 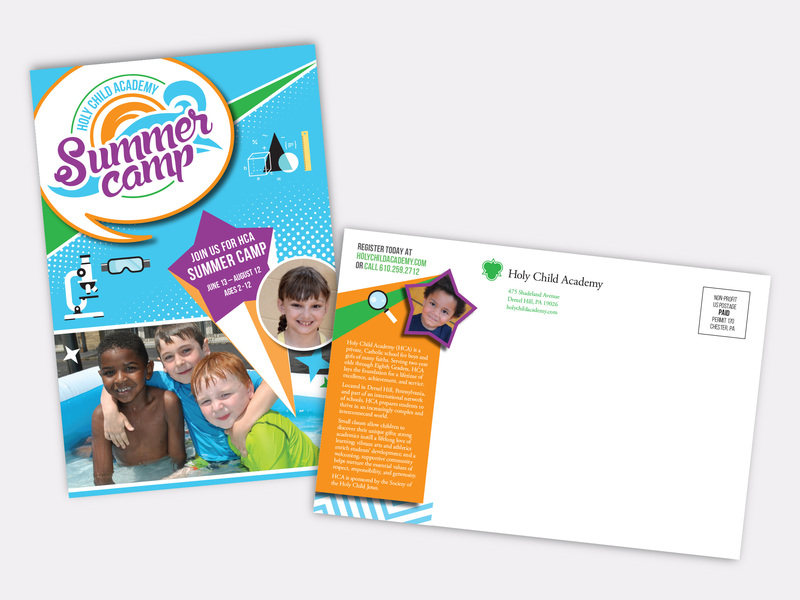 Revamp the summer camp identity so that it relates more to the new branding. 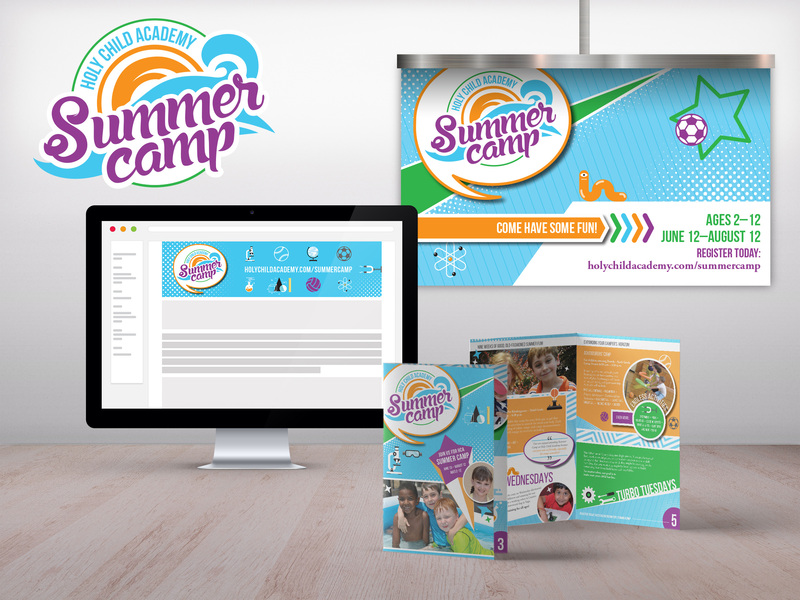 With a new identity and color palette launched for the school’s parent brand earlier in the year, we explored combining colors, geometric shapes, icons and patterns to create a vibrant identity designed to stand out amongst a multitude of area camps competing for registration. 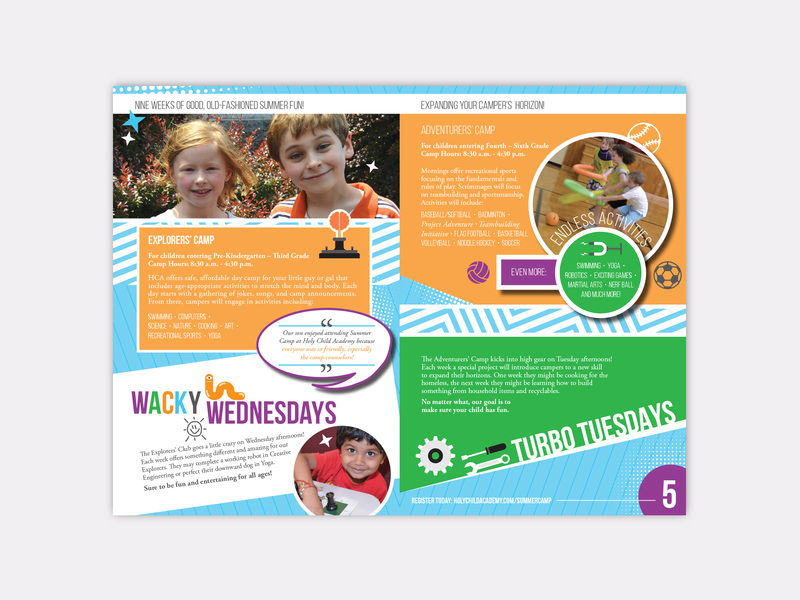 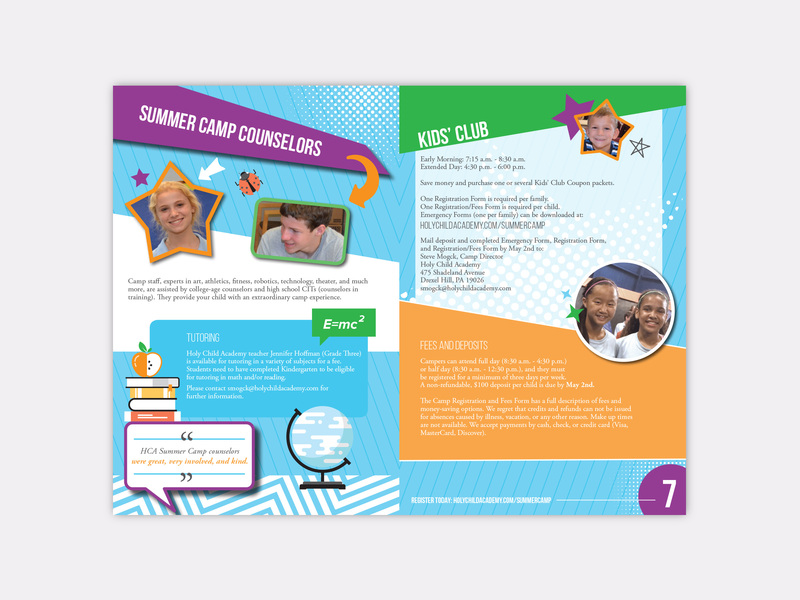 This aesthetic, designed to appeal to children, is exclusive to the Summer Camp collateral that includes a custom logo, yearly brochures, banners and eBlasts.